I’m so far behind with myself it’s not funny anymore, so heres a bit of a catch up post. first up, after another visit to my GP to get stronger drugs, my consultant appointment was suddenly and unexpectedly moved up by a month – so I now only have to wait 3 weeks before the mystery pain in my hands and wrists starts a proper treatment (and maybe a name!) In the meantime however it was gradually getting worse and worse, resulting in about 15 minutes of crafting a week! The new drugs however are very impressive so maybe I’ll be getting some more crafting in the next few weeks. Back in April I had some friends come stay with me, the lovely V and his partner G. I have long admired V’s beautiful knitting, his colourwork leaves me awestruck and his cabled sweaters bring me out in a sweat just thinking about the hours involved. Under the unwritten knitter’s code, V naturally turned up carrying yarn, and what yarn. 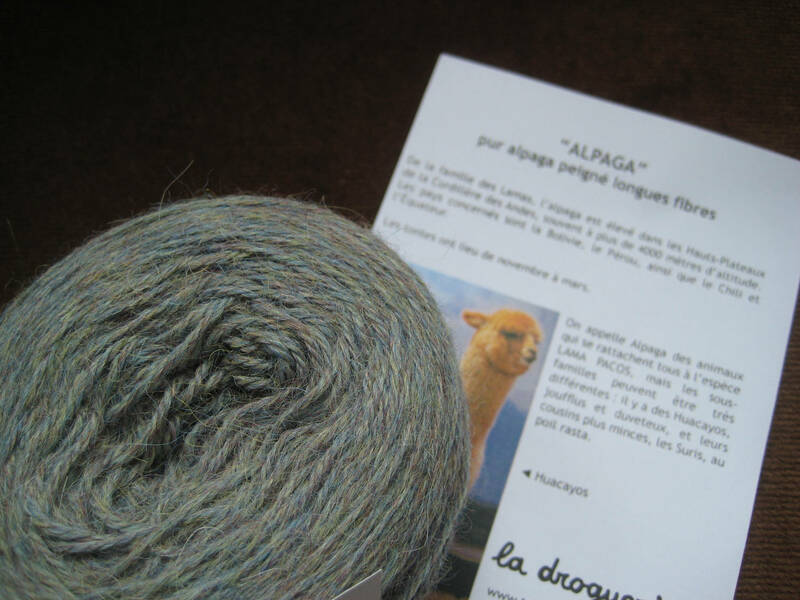 Some of my readers will have heard about La droguerie in France – the luxury yarn store that sells off the cone and has it’s own ranges of alpaca. This yarn has definitely bumped up my next visit to France! So thanks to V and G’s generosity I now have yarn in my stash that I am overwhelmed with options – want a peek? left to right: plumette, alpaga and holst garn. Plumette, the softest lightest beautiful mohair. 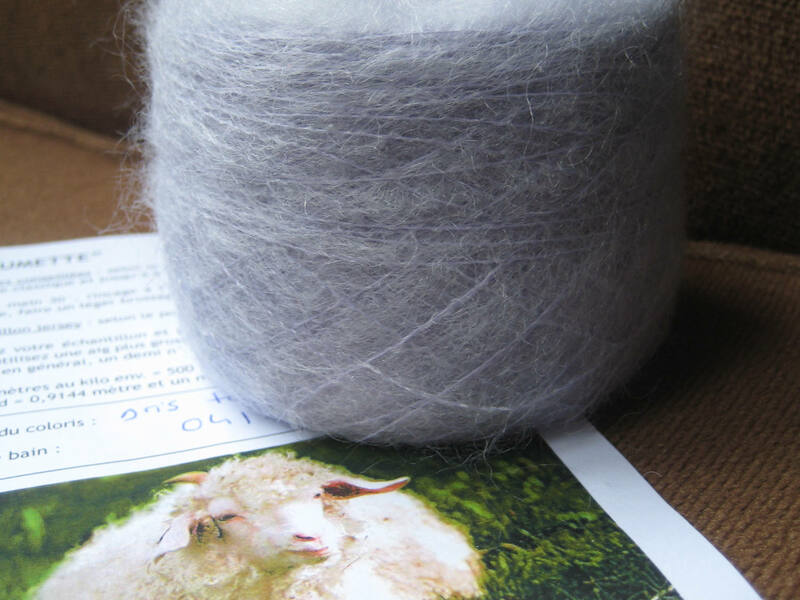 This colourway (gris tourterelle) is the softest grey around a core of palest lilac. I have plans for these nearly 500yards, once I get over my fear of them – possibly involving my estonian lace pattern book. The Alpaga is a colourway called Avec lamen du Nord and is a 4ply alpaga in the most beautiful mix of soft browns and teals – I’m told an approximation of the translation of the colourway is ‘with the north sea’, and it captures perfectly the colours of the sea on an overcast stormy day. I love this so much that it’s going to take me a while to come up with the perfect pattern. This one might be crocheted. 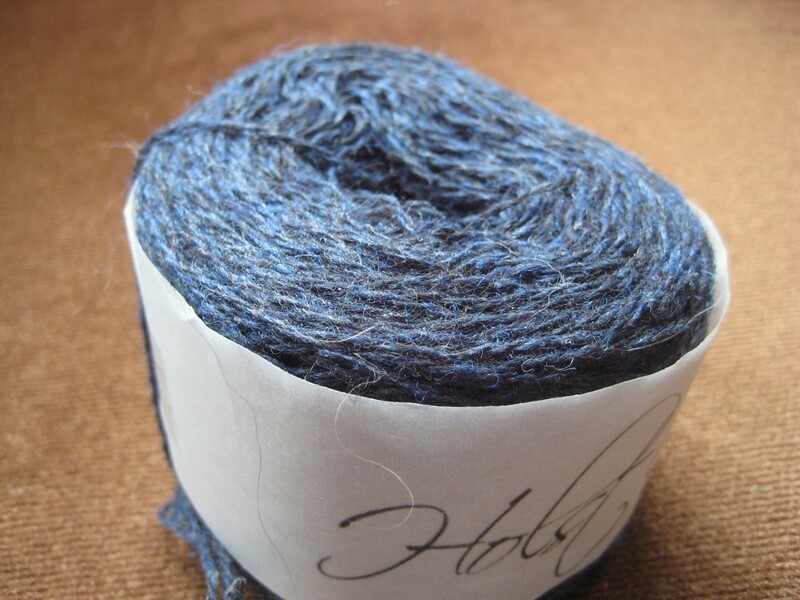 finally is this gorgeous Holst garn, a 2 strand yarn, one strand bright navy blue and the other black resulting in a sort of tweed effect. This one is 100% wool and is very soft. I’m closest to working this one up – I’m designing as I type! Aren’t I a lucky, lucky girl? oh, and if you want to catch up with V’s yarn adventures you can here. 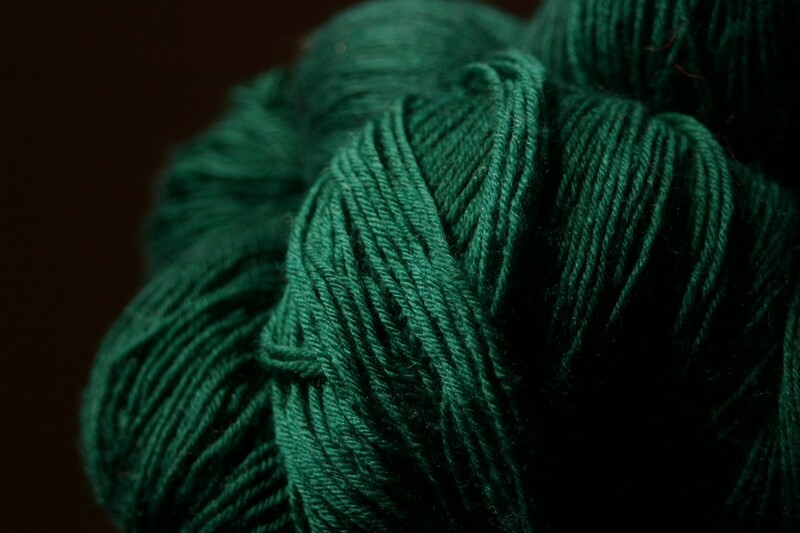 Back in November of 2011 I was starting to ponder Christmas presents for myself (my birthday is the 23rd and I invariably get lots of people asking me what I want) and I was looking at all the beautiful different yarn clubs available. Ones for sock yarns, ones for lace, ones for sock patterns, ones for shawls, ones with a theme, ones for a particular type of fibre, ones for indie dyers… it was all so overwhelming. 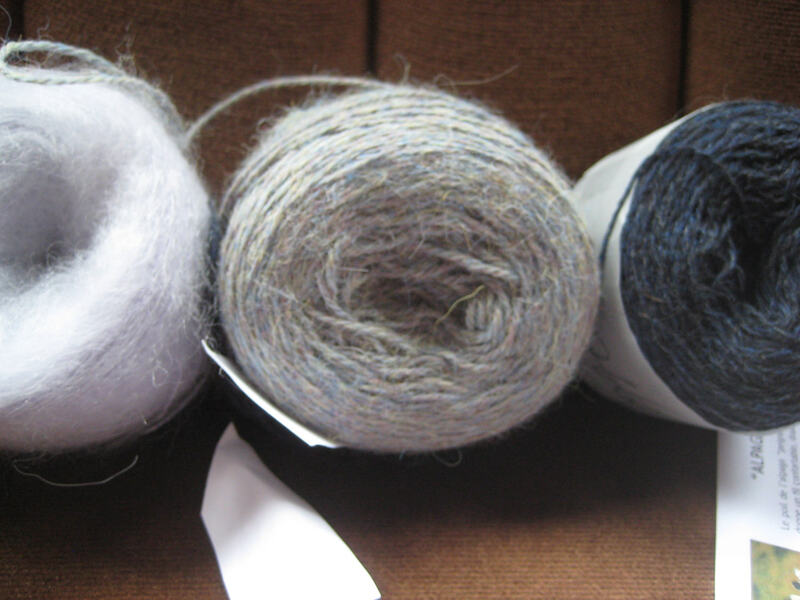 I also felt a bit like I was cheating on my existing stash – and I had a couple of unanswerable questions about the yarn clubs (what if I didn’t like the colour, or the pattern, or needed more, or if I fell behind?). What I ended up deciding to do was my own ‘free’ yarn club. 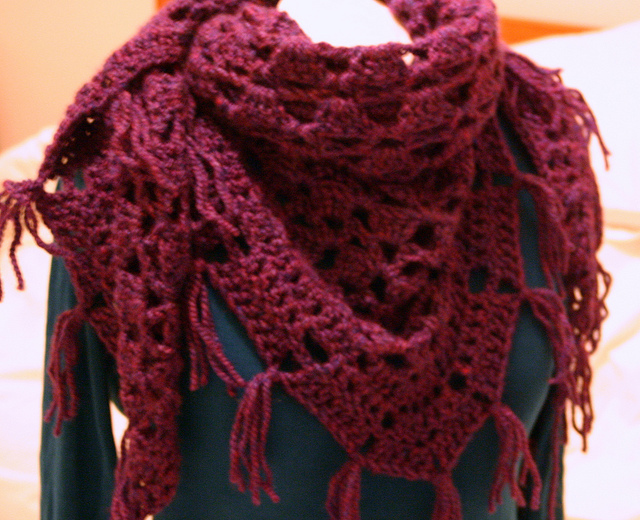 I would bundle up my existing yarn with the pattern I wanted to make from that yarn, with maybe a surprise and then a ‘sketchy’ note on the outside such as ‘quick’ or ‘laceweight’ or ‘rustic’. Then each time I finished a project I could ‘adjective’ dive and pick out a surprise lucky dip type package. Of course life isn’t quite that smooth, so I didn’t get chance to wrap up everything before December, but I did get to give a number of yarn/pattern pairings to a dear friend. I say a number because I genuinely can’t remember how many. His instructions were to add a *small* surprise if he wished (he is forever buying me little treats) and to hand them back at some point in 2012 to be decided by him. 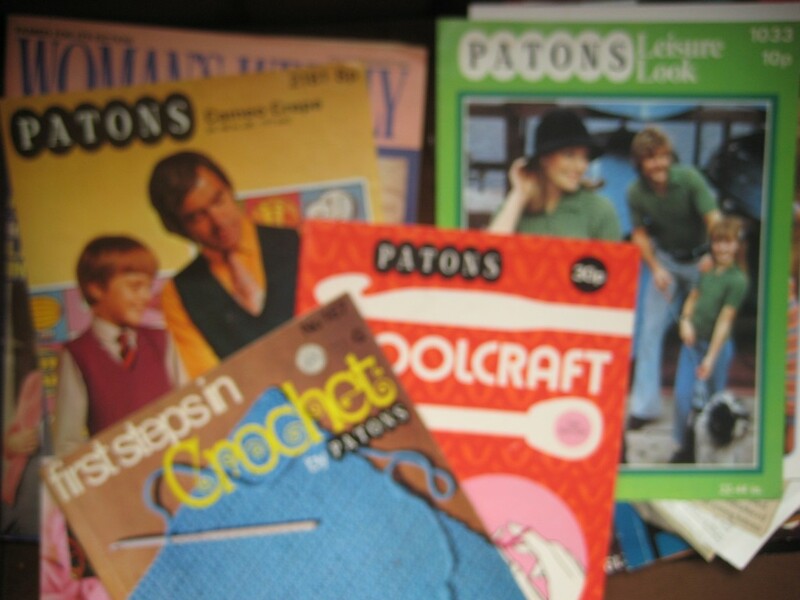 along with 2 bars of Lindt chocolate (nom) and a wonderful collection of 1940-1980s patterns (knit and crochet) which he had found in his mothers loft (who used to own a haberdashery). (sorry about the blurry quality – I will take some better ones I promise!). I’ve had a ball reading the Woman’s Weekly from Sept 1980, and some of the yarn pictures are genuinely terrifying – the Paton’s green boarded one you can see on the right has the entire family dressed in the exact same green cabled/lace jumper (though ‘his’ buttons the other way) – no wonder the dog needs two people to hold onto him! The yarn is sitting staring at me, and I have managed to photocopy my own ‘abuse’ copy of the pattern. Now I just have to get up the courage to start! shawl, which I posted on Ravelry as a free pattern. Afterall it was an afternoon of ‘playing’ and then about a week of writing up / pattern testing so it didn’t seem fair to charge. I was delighted when the pattern was taken up by so many (currently standing at 105 finished projects, and 600+ favourites) and got a sense of warm satisfaction from having appealed to more than just myself and the original requester. Imagine my surprise when this week I got a message from another Rav member to let me know that not only did she enjoy my pattern, but she enjoyed it enough to start producing them and selling them in her etsy shop! I’m strangely proud of this, despite the fact I had absolutely no involvement in the process or production – I simply made a pattern available for her to go off, but I feel I have somehow had some validation of myself by this acceptance – not hindered by the fact that the seller gave me a shout out in the product description! I have several designs in the ‘pipeline’ and this lovely message this week has firmed my resolve to get cracking on them and get them published! Incidentally, for those who want to know, the original shawl pictured above was gifted to my sister in law, who looked at me like I thought she was 90 and who, as far as I know, has worn it once, as a ‘granny shawl’ in a production of Oliver! She seems to be bemused when I tell her this is a popular shawl design on the internet and that she owns the original. Some people just don’t get it do they?